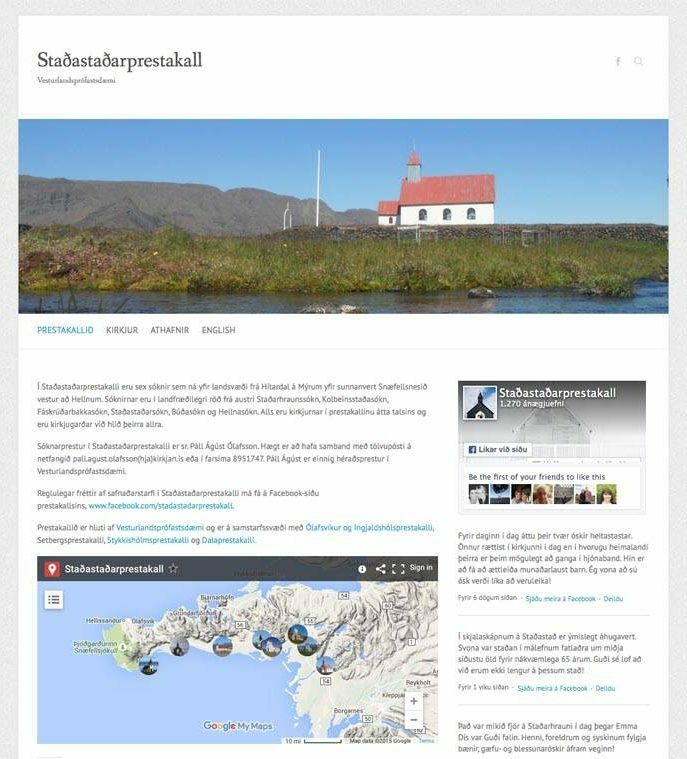 In spring of 2014, I implemented a website for Stadastadar Parish (isl. Staðastaðarprestakall), a parish on the Snaefellsnes Peninsula, Iceland. Stadastadar Parish is a multipoint parish with six congregations and covers a large geographical area on the southern Snaefellsnes Peninsula. The southern part of the Peninsula is a farming community with a breathtaking landscape. Snæfellsjökull, best known from Jules Verne’s novel, A Journey to the Centre of the Earth, being its main attraction. The Parish is a popular tourist attraction and the local churches are popular for weddings, not only by Icelanders but travelers from all over the world. Trying to address the different needs of the farming community and the tourists simultaneously was considered important in the implementation of the website, helping the community to see the service rendered by the parish for travelers as a part of the mission of the congregation as a whole. The website addressed therefore both the needs of the farming community, many with a limited internet connection, and needs of travelers, planning to tie the knot in this beautiful corner of the World.